Do You Need Some Mortgage Advice? On October 1, 2012, the Department of Housing and Urban Development announced that several communities in New York are receiving over $93 million of emergency aid for recovery efforts from Hurricane Irene and Tropical Storm Lee. Now that specific areas like Orange County and the Town of Union have been approved for funding, the long-term recovery efforts can begin. 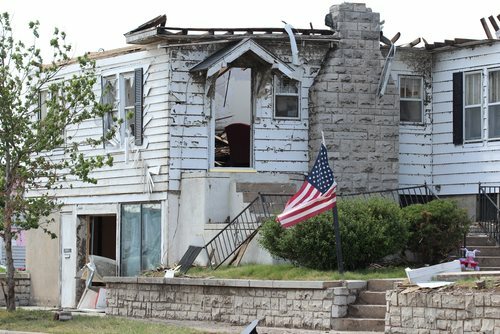 The funds for the long-term recovery efforts will address housing needs, as well as improvements to businesses and infrastructure that were not repaired by initial public and private funds. Data from the Federal Emergency Management Agency (FEMA) and the Small Business Administration (SBA) revealed these areas of New York were in most need of recovery efforts after Hurricane Irene and Tropical Storm Lee. The funds for New York are part of the Community Development Block Grant funds approved by Congress on November 18, 2011. The appropriated funds addressed the most impacted areas of the nation like the severe tornados in Missouri and the Southeast U.S., the floods in North Dakota, the wildfires in Texas, and the hurricanes. Congress also gave HUD permission to distribute an additional $100 million for “the most impacted and distressed area.” The increase in recovery funds is a result of the additional funds. HUD distributed a total of $71,654,116 earlier this year in the State of New York. About 80 percent of the funds assisted Schoharie, Tioga, Broome, Greene, and Orange County with damage repairs from Hurricane Irene and Tropical Storm Lee.